Norwegian international to sign for Cardiff? It’s the January transfer window and once again the transfer rumours are running rampant – but this one does seem to have some legs. New Cardiff City manager Ole Gunnar Solsjkaer was spotted with Heerenveen midfield star Magnus Wolff Eikrem outside St James’ Park shortly after the Bluebirds’ 2-1 FA Cup victory over Newcastle United. WHO IS MAGNUS WOLFF EIKREM? At age 12, Eikrem attended one of Ole Gunnar Solskjær’s soccer schools and shortly after, he was signed as a schoolboy for his local team in Norway, Molde FK. It is no coincidence that Solsjkaer has already gone on to manage the Heerenveen midfielder twice, at Manchester United reserves and at Molde. Eikrem signed for Manchester United on his 16th birthday before being managed by Solskjaer in the reserves in 2008. The pair helped Molde win two Norwegian Tippeligaen titles with Eikrem scoring six goals in 68 appearances under Solsjkaer’s leadership and winning the ‘Player of the Year’ award in his second season. Then just this past June, the new Cardiff boss sold Eikrem to Marco van Basten’s Heerenveen where the 23-year-old has scored twice in 13 appearances. 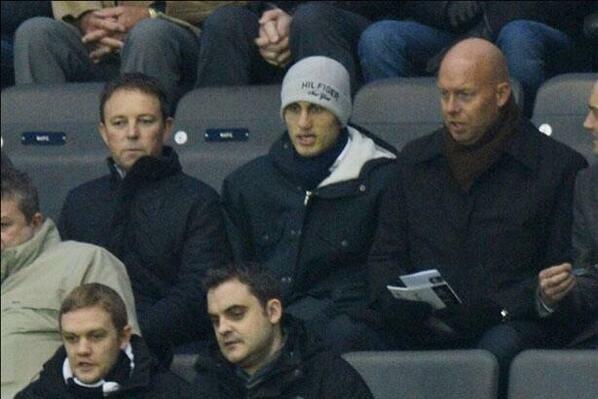 Obviously close friends; it now appears that Eikrem could be Solsjkaer’s first signing for Cardiff. Particularly when seen the player is seen in Newcastle watching a Cardiff game, while his club, Heerenveen are in Albufeira, Portugal at a winter training camp. However, if the transfer happens, Cardiff City can expect a creative right-footed central midfielder who has been often compared to former Tottenham midfielder Luka Modric. A weakness could be his height, standing at just 5ft 8in, winning just two of 13 aerial duels for Heerenveen this season. Although, Eikrem is not a powerhouse, he is strong on the ball and his brain along with his rapid-fire decision making could prove to be a hit in the Premier League. Like a champion chess player, before accepting the pass, he knows what his next move is going to be, being very aware of team-mates movement around the pitch. Eikrem’s quality precise passes is currently opening Eredivisie defences for fun, currently with a 79% success rate, making 362 of his 456 attempts. Also, look for the midfielder to hold his own in the tackling department; he is currently averaging 2.2 tackles per game, a total of 29. As the picture above shows, it certainly looks like the young Norwegian could be on his way to Wales to play for Solsjkaer once again. He will join Jon Dahl Tomasson, Marcus Allback, Afonso Alves, Oussama Assaidi and Georgios Samaras in the long list of Heerenveen players sold to the English Premier League – but look to him to make a bigger impact that the majority of that list.